Which to pitch? Nordstrom or Target? Steinmart or Kohl’s? JC Penney or Bed Bath & Beyond? As much as you probably want your product in as many locations as possible — it’s an omnichannel world these days — it’s important to remember that you want your brand in the environment that offers a high probability of success. You’ve worked too hard for anything else. You also want to spend your time pitching to retailers who are seeking products like yours and not waste hours chasing a store that is unlikely to entertain what you sell. What’s more, you want to be able to satisfy the requirement of the retailers who carry your items — even a company with a white hot, in-demand product risks losing a customer if it can’t get shipping, inventory management and production right. The supply chain and EDI. How does yours measure up for major retailers like DSW or Kohl’s? No two retailers handle their EDI transactions exactly the same way. That means your supply chain must be nimble enough to adapt and your EDI software provider needs to have your back. Retailers that focus on discounts will bring different challenges than high-end department stores, and physical store locations can make an impact on your ability to establish a productive relationship. Before you land that first big order from a retailer, make sure you have an EDI process and an EDI provider that will help you succeed. It’s like any other relationship — you only get one chance to make a first impression. It doesn’t mean you can’t rebound from a rocky start but you’ll be a lot happier — and your bottom line a lot healthier — when things begin well. Five questions to ask before you contact a retailer. Does your line fit the retailer’s current mix of products or, more importantly, does it fill a void? Be honest with yourself about your product. You want to be in stores that attract shoppers who will arrive with genuine interest in what you sell. It’s an extreme example, but you probably wouldn’t want to have clothing in an appliance store. Nothing cements a retail relationship like products flying off the shelves. Does the retailer fill a void for you? 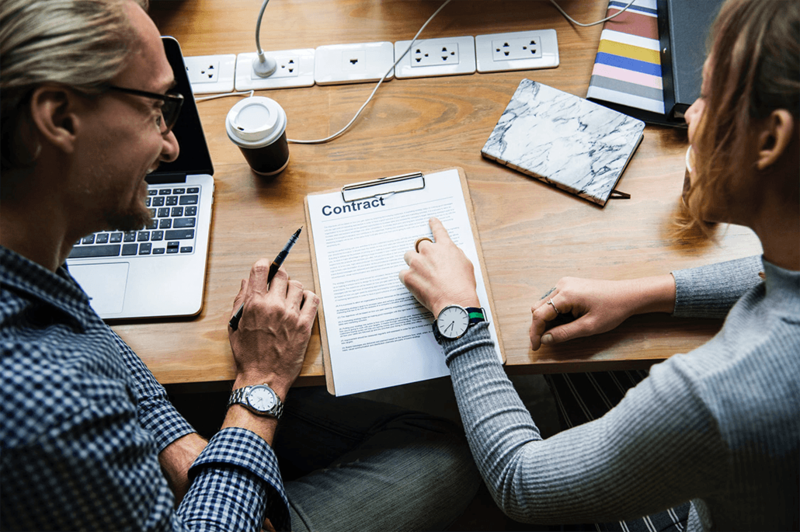 If you already have a great and profitable relationship with one trading partner, you don’t want to jeopardize it because you’re chasing wider distribution. Most retailers will expect your product to be sold all over but make sure that getting into more stores doesn’t mean you wind up exiting the ones that are currently working. 3. What’s your elevator pitch? Retail buyers are busy people who face constant decisions about which products to carry. Try to boil down the promise of your product into a concise, attention-grabbing few sentences. You may not even need to use it but an elevator pitch will help you focus your thinking. Imagine your product like a movie idea, and you’re trying to convince a studio head why it’s going to be the next blockbuster. 4. Can you handle a YES? Sure, every entrepreneur has a streak of selling first and figuring things out later. But don’t let that cloud your thinking. When you get the go-ahead, you’re going to need to be able to deliver. Make sure your production is in place, and your EDI process is first-rate. 5. Can you make a buck? Or better yet, millions of bucks? Sometimes the excitement of a new retail location causes suppliers to forget about the bottom line. Sure, it can make sense to take a hit on your margins sometimes, especially if it means you’ll be featured in a store that can generate buzz for your brand. But do that too often and you’ll find yourself working for pennies. Remember that a good relationship is give-and-take — make sure there is a real upside for you. 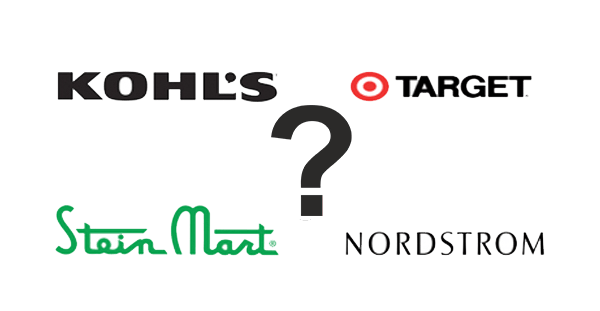 EDI and success at Nordstrom, Target, DSW, Steinmart, and more. While there are caveats to every retailer pursuit, you do need to get your product out there so people will buy it. After you have answered the important questions honestly, get out there and pitch to the right trading partners. And remember that a big step towards ensuring a successful relationship is finding an EDI provider who is responsive and has EDI mapping to hundreds of retailers. Working with the right company for EDI transactions will make your journey not only less stressful, but more profitable.